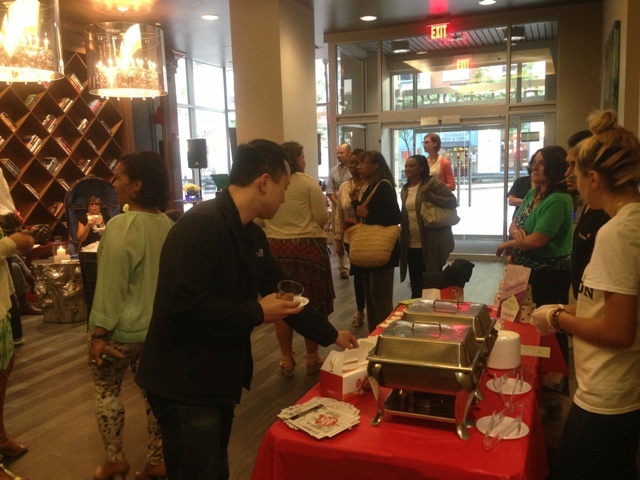 NEW BRUNSWICK, NJ, – New Brunswick’s famed restaurant scene was on full display recently during the City’s Restaurant Week, and dining enthusiasts enjoyed a variety of food and wine tastings at The George which hosted two local eateries in its socially-centered lobby lounge. Residents of the new upscale high-rise apartment building and guests enjoyed featured favorites from Tula Lounge and Bon Chon Korean restaurant, while New Jersey singer and guitarist Sophia Nicole provided musical entertainment. The George’s participation in the week-long event was part of its ongoing Summer Events Series sponsored by Pennrose, which developed and manages the 14-story high-rise building that features 104 luxury rental residences in the heart of downtown New Brunswick. Previous events at The George included an evening of jazz from The Mike Bond & Jeff Dingler Duo of the New Brunswick Jazz Project and a wine tasting event. Located at 285 George Street, The George features a variety of one- and two-bedroom residences — including a select number of exclusive upper-floor Penthouse homes — at monthly rents starting from the $1,700s for one-bedroom homes and the $2,100s for two-bedroom residences. Immediate occupancy is available. More than 65% of the residences have already been leased, according to The Marketing Directors, The George’s exclusive marketing and leasing agent. Residents at The George enjoy an attended, social lobby lounge featuring a bar, TV and Wi-Fi; onsite fitness center and Verizon Concierge services. In addition, preferred access is available at the newly-opened, 60,000 square-foot Robert Wood Johnson (RWJ) Fitness & Wellness Center. Well-conceived floor plans at The George boast designer finishes and appointments. 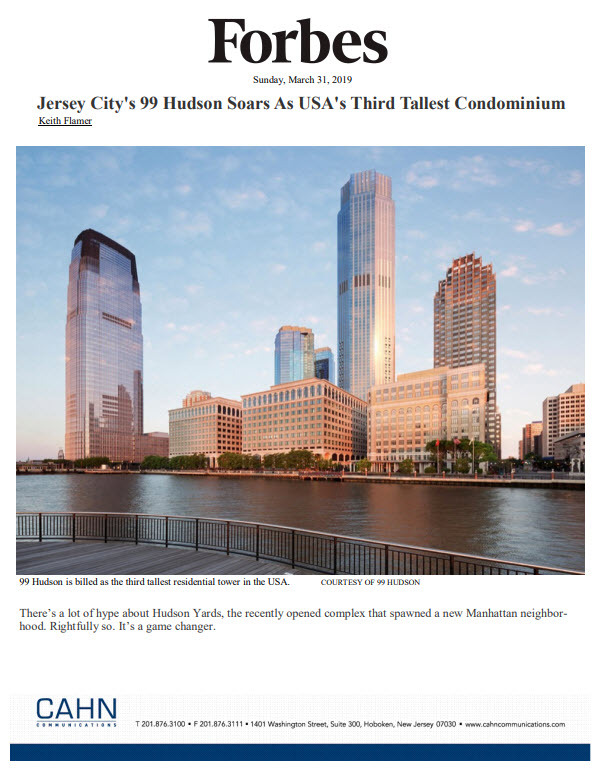 Expansive windows maximize the building’s magnificent views of the New Brunswick skyline and Raritan River. Hardwood floors can be found throughout the living and dining areas, while modern kitchens feature solid wood cabinetry, granite countertops, and state-of-the-art stainless steel appliances. Spa-like bathrooms are adorned with porcelain tile floors and Kohler fixtures. The George’s ultra-convenient location places residents in a desirable live/work/play environment. Celebrated attractions located just steps away include the George Street Playhouse, State Theatre, Heldrich Hotel, and countless restaurants, boutiques and nightlife pursuits. The George is also easily walkable to the New Brunswick Train Station which serves the northeast corridor line, and is accessible to major highways, including the NJ Turnpike, I-287 and Routes 18 and 27. For additional information on The George and to schedule an appointment to tour the model homes, please call 732-339-3199 or visit www.TheGeorgeNJ.com. The onsite leasing office is open Monday thru Friday from 10:00 a.m. to 6:00 p.m. and Saturday and Sunday from 11:00 a.m. to 6:00 p.m.
With over 30 years of experience, Pennrose combines quality development and proven management to deliver exceptional lifestyle-centered communities for its residents. With the superior knowledge and unparalleled dedication to get the job done right, Pennrose develops and operates both conventional and affordable communities throughout Pennsylvania, New York, Connecticut, New Jersey, Ohio, Maryland, Alabama, Tennessee and Washington D.C., and continues its successful track record of development in the Mid-Atlantic region and beyond.